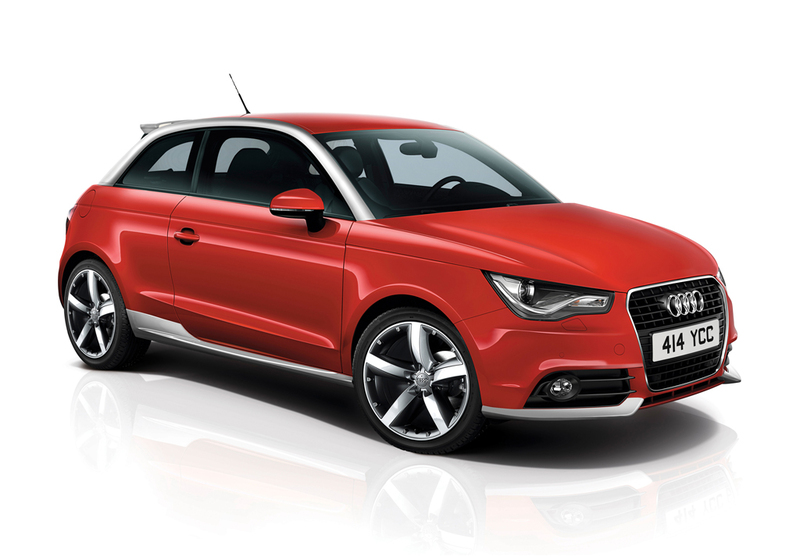 Audi UK has announced the addition of two new design packages and a more powerful TDI engine for the popular Audi A1. The new "Contrast Edition" A1 brings a contrasting color for the roof line, new aerodynamic styling and larger 17" ‘five-arm’ design bi-colour alloy wheels. The "Black Edition" A1 follows suit with other Black Edition ranges (Titanium edition in the US) and is available exclusively in conjunction with the 185PS 1.4-litre TFSI and newly introduced 143PS 2.0-litre TDI engines. Full report after the jump. 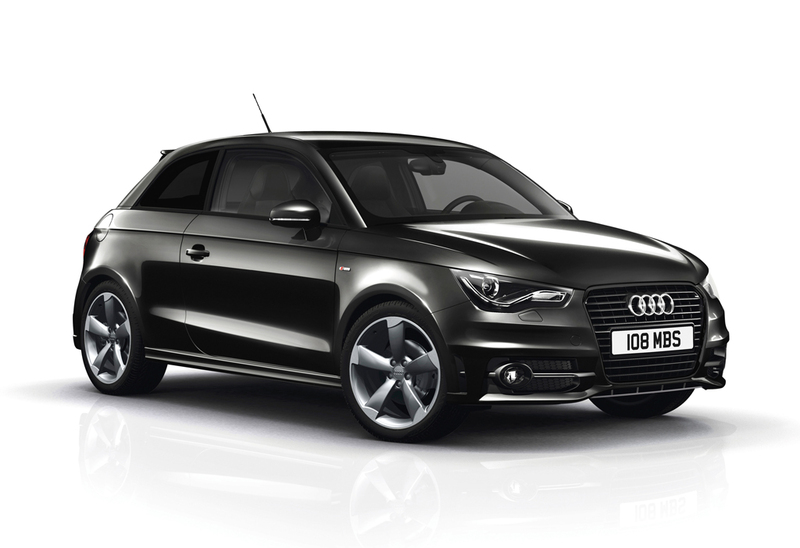 Getting personal with the Audi A1 becomes even easier from this week thanks to new Black Edition and Contrast Edition specification options that take different routes to achieve an even more striking and exclusive look. The new design options can now also be combined with a more powerful 2.0-litre, 143PS TDI engine that complements the existing 1.6-litre, 105PS unit. 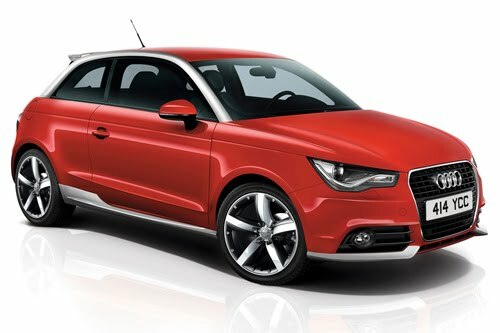 Contrast Edition specification is available for a premium of £1,350 over the price of an equivalent A1 Sport model, and in conjunction with all engines in the A1 range with the exception of the 1.4 TFSI 185PS. It brings a contrasting colour for the roof line and for aerodynamic body styling elements that are also added over and above the Sport specification, plus larger 17-inch ‘five-arm’ design bi-colour alloy wheels that expand on the Sport model’s 16-inch examples. For a more resolutely sporty look a double-blade roof spoiler, also in a contrasting colour, can be added at extra cost. The Black Edition alternative is based on the top S line specification, and is available exclusively in conjunction with the 185PS 1.4-litre TFSI petrol engine and the newly introduced 143PS 2.0-litre TDI. For a premium of £1,100 over the S line models, it adds a black styling treatment for the single frame grille surround and number plate holder, dark tinted rear privacy glass, 18-inch five-arm rotor design alloy wheels in a titanium finish in place of the S line model’s 17-inch equivalents and Xenon Plus headlights with LED daytime-running lights. Inside, it also brings full electronic climate control as an enhancement to the S line model’s manual air conditioning and the Audi Sound System speaker upgrade giving 180 watts of output. Alongside the additional scope for visual enhancement offered by the two new specification options comes the potential for even greater TDI pace thanks to the fifth and latest introduction to the A1 engine range. The 2.0-litre TDI with common-rail fuel injection is available in conjunction with Sport, S line, Contrast Edition and Black Edition specification levels, and is priced from £17,945 OTR. It develops 143PS and maximum torque of 320 Nm between 1750 and 2500 rpm – enough to push the A1 2.0 TDI with six-speed manual transmission to 62mph from rest in 8.2 seconds on the way to a top speed of 135mph. Impressive 68.9mpg combined economy complements this strong performance, and pares CO2 output back to 108g/km, positioning the A1 2.0 TDI very favourably in VED band B (£20 per annum). The A1 TDI range also includes the 1.6 TDI with a VED and congestion charge-eliminating 99g/km CO2 output, and from the petrol-powered camp the similarly turbocharged and directly-injected 1.2-litre TFSI with 86PS and 1.4-litre TFSI with 122PS. At the head of the range in output terms is the 1.4-litre TFSI with 185PS, which combines supercharging and turbocharging to achieve its impressive output.